Protestors have vowed to continue their fight against a new access route into a Grade I listed city centre park. Cardiff council has agreed plans to build a new bridge and an access road into Bute Park for delivery and maintenance vehicles. But protestors said the campaign against the plans would continue and they might appeal against the decision. 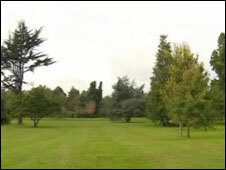 Cardiff council said the work would help control vehicle access and would improve safety in parts of the park. The new route would be directly from North Road, close to the Corbett Road junction, and link to an existing thoroughfare in the park. A range of vehicles currently access the park to supply the plant nursery, carry out maintenance, and deliver and dismantle equipment for events such as the spring flower show. But campaigners claim the work will ruin part of the park. Anne Greagsby said: "I think people in Cardiff are furious. "When we started this we did a petition and we got nearly 2,000 signatures. "People, when they hear about it, are totally horrified and they just can't believe it." She added that various groups including Friends of the Earth and the local Green Party were against the plan. Cardiff council said the new road was only the third entrance to be built into the park in 60 years, and it would be done sympathetically. The council also said vehicles currently used the north gate near the castle which was a "very busy junction" that was "awkward and potentially unsafe for large vehicles". The new access road would reduce the distance that large vehicles needed to travel in the park, improving safety, said the council. Bute Park was originally the private garden for Cardiff Castle and was given to the people of the city in 1947. Since then its central location has made it a favourite haven away from noise and traffic.